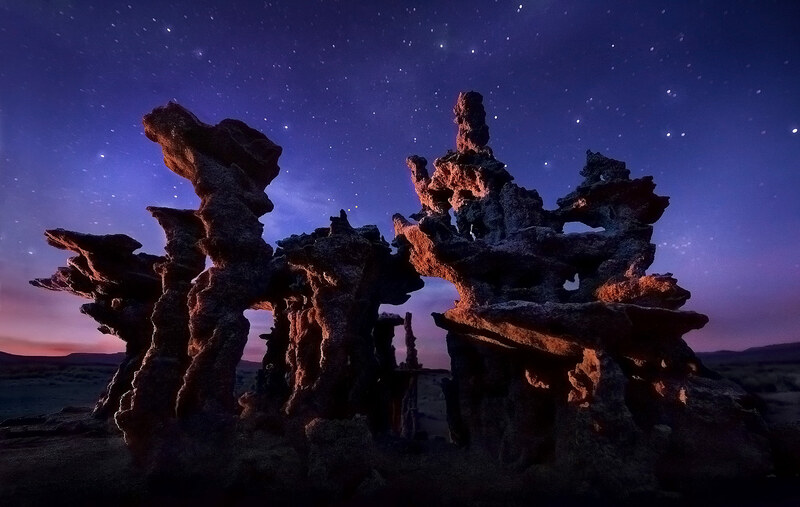 Sand Tufa's at California's Mono Lake reminded me of castles, so I light-painted and depth-of-field-blended to get this unique image of them which fulfilled my artistic vision. The sky is taken just a little out of focus intentionally to let the stars glow. Photo © copyright by Marc Adamus.